This stunning range provides a ultra high acrylic finish. Drawers come with linen look interiors. This range gives you a quality finish and extra functionality. 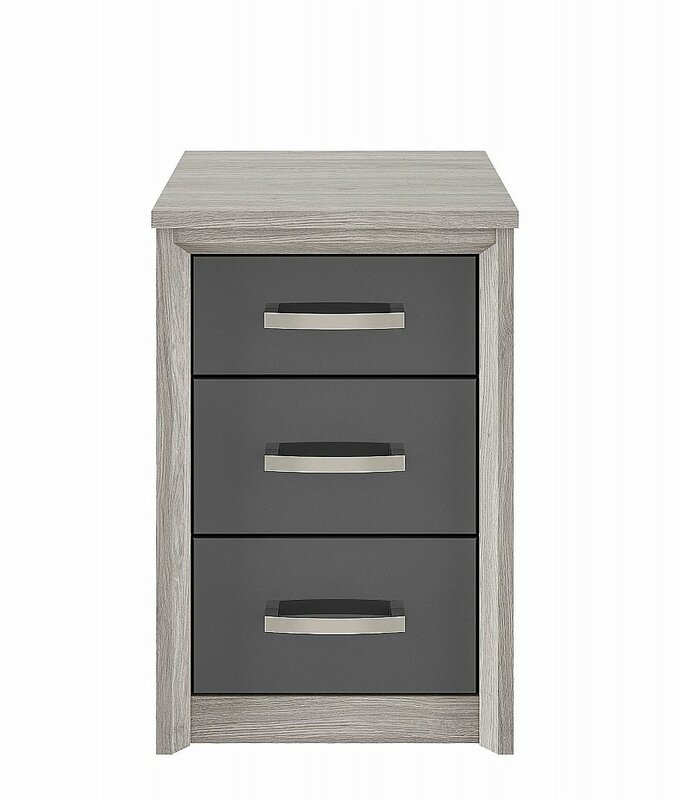 I would like more information about Cosmos 3 Drawer Chest - Oak + Graphite by Kingstown.